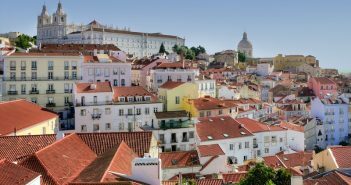 The hotel scene in Lisbon is expanding with recent openings in the best neighbourhoods, which makes the process of choosing the right hotel a trying task. Price, quality and location are three of the top criteria, which we were able to marry together to make it easier for you to find the best hotel in Lisbon. 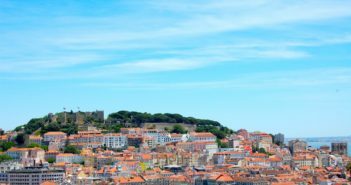 In terms of location, the best areas to stay in Lisbon are Baixa and Chiado, Avenida da Liberdade and Marquês de Pombal, Saldanha, Belém and Parque das Nações, close to Lisbon’s main attractions and with easy access to public transport. We have used Booking.com to find hotels in these areas that offer the best value for money. We’ve then narrowed down the list to hotels with a score higher than 8 obtained from 1,000 or more guest reviews, in order to avoid false comments and popularity peaks. All hotels have free Wi-Fi. The Baixa and Chiado are two of of best neighbourhoods to stay in central Lisbon. Baixa has one of the busiest pedestrian shopping streets in Lisbon; Chiado is an area known for its Paris-style shops. Several major tourist attractions can be found here such as Santa Justa Lift, Carmo Convent, the Modern Art Museum, or São Carlos National Theatre. 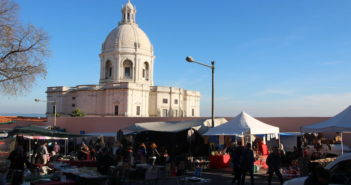 The area is not far from the riverfront, where you can take a stroll along the Tejo, between Terreiro do Paço and Cais do Sodré. This is one the areas best served by public transport. 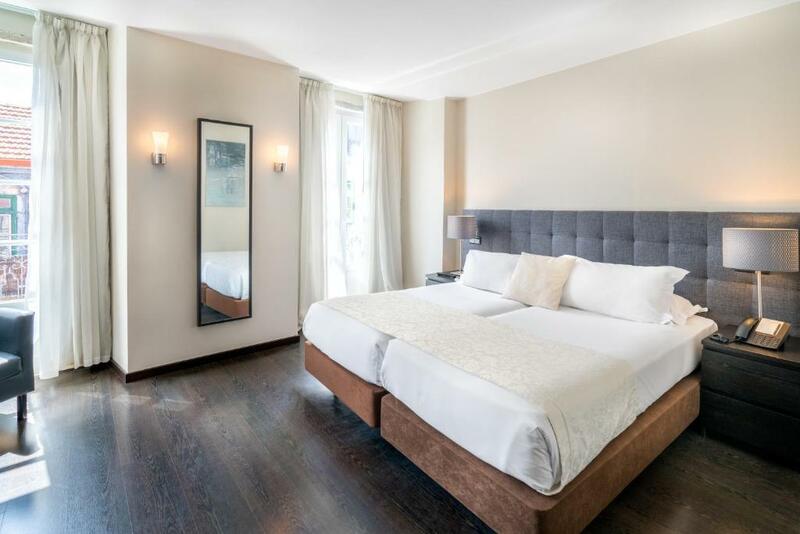 Located in the Chiado area, Lisboa Carmo Hotel features luxury rooms, some of which (on the upper floors) offer views of the River Tejo and the historic buildings. Lisboa Carmo Hotel is located on a quiet street, but in 3 minutes you can be in Bairro Alto, the centre of Lisbon’s lively nightlife. This is an excellent choice if you want to stay in the heart of Lisbon. Dear Lisbon has themed rooms with panoramic views over the city. Each room has its own private bathroom, air-conditioning and heating. Guests can enjoy a garden with pool and a private terrace. This charming hotel provides a unique experience in a traditional neighbourhood in Lisbon. Bairro Alto’s nightlife is a few metres away, and the commercial streets of Chiado are within walking distance. 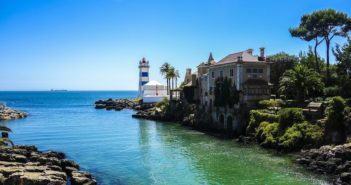 From close-by Cais do Sodré, you can catch the train to Cascais or to one of Lisbon’s beaches. Hotel Mundial is a classic in Lisbon’s Baixa area, having undergone renovation in 2016. 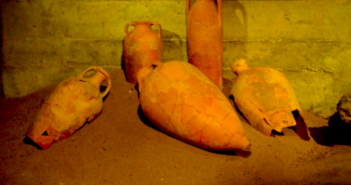 Rooms are furnished in traditional style. Breakfast is included in the rate. The Varanda de Lisboa Restaurant and the rooftop bar offer panoramic views of the city and Lisbon’s Moorish São Jorge Castle. 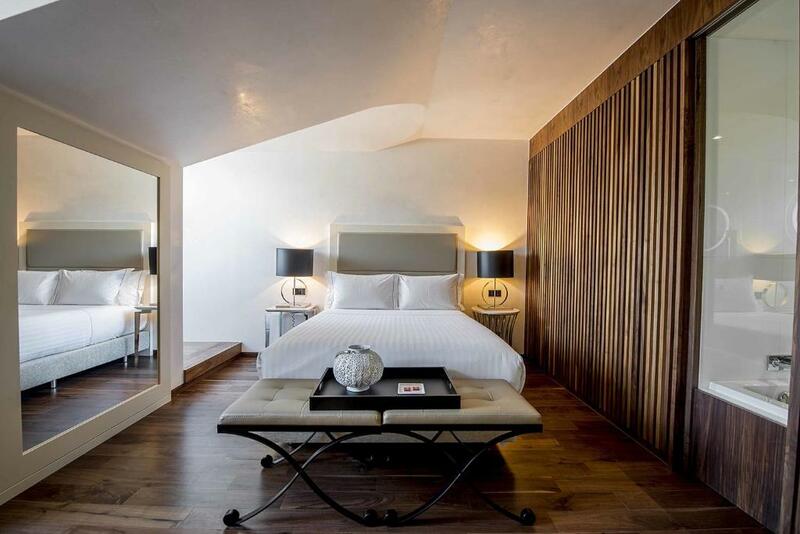 Rossio Garden Hotel is a 3-star boutique hotel set in a renovated building dating from 1900. It’s located in the heart of Lisbon’s Baixa, near Rua das Portas de Santo Antão, a pedestrian street known for its seafood restaurants and traditional shops, and one minute away from the Rossio train station, where you can catch the train to visit the beautiful village of Sintra. This is one of the top value for money choices in this area. This is one of the most central areas in Lisbon, also known as the city’s financial district, with probably the highest concentration of luxury hotels. 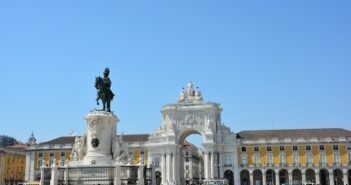 The Baixa and Chiado neighbourhoods are a short metro or bus ride, or you can simply walk a few minutes on the Avenida da Liberdade, a lovely tree-lined divided boulevard, with pedestrian walkways, shops and cafés. Located on a 1930s building, Tivoli Lisboa is a five-star luxury hotel with a rooftop bar offering panoramic views of the city. 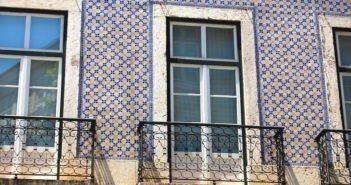 Rooms overlook either the courtyard or Avenida da Liberdade. The hotel has an outdoor pool and two restaurants. On a quiet street, 500m away from Avenida da Liberdade, Eurostars Letras has themed rooms with marble and timber furnishings. Some rooms offer views of Lisbon’s Castle. The hotel has a fitness centre and a sauna. 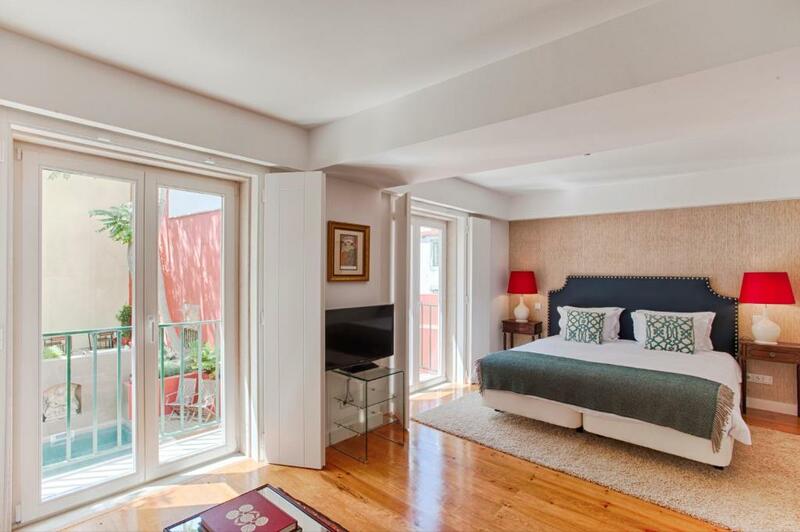 Located on Avenida da Liberdade, within walking distance from Praça dos Restauradores but also from Baixa and Chiado’s commercial areas, BessaHotel has rooms in a vintage style. The hotel offers a fitness centre, a Turkish bath, a sauna and an indoor pool. The Saldanha area stretches from Marquês de Pombal Square to Campo Pequeno, and it’s sometimes called Avenidas Novas (New Avenues resulting from the expansion of Lisbon northwards in the late nineteenth century). This is a residential area with good local services and shops, home to Calouste Gulbenkian Museum and Park. 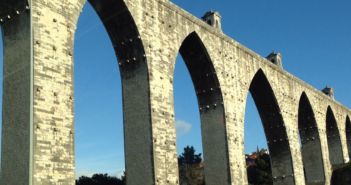 Here, you’ll find hotels with quiet rooms, yet close to Lisbon’s main attractions. 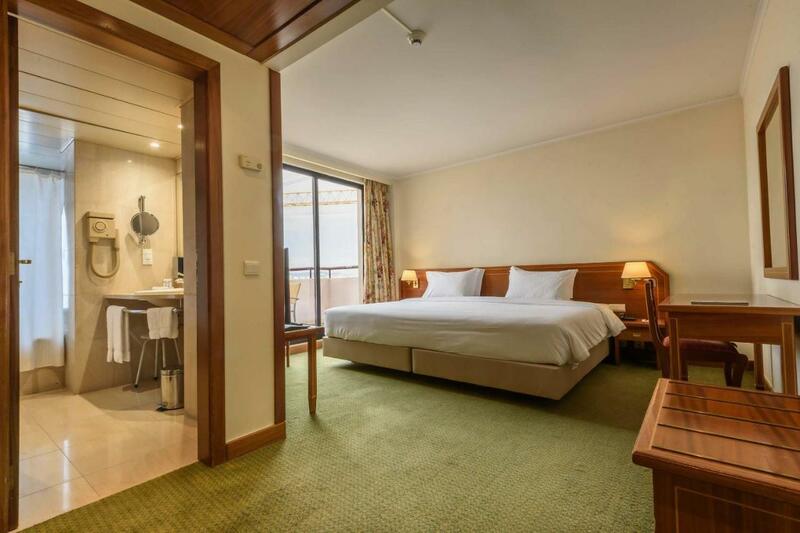 Real Parque Hotel is a 5 minutes’ walk from El Corte Inglés, Parque Eduardo VII, Lisbon’s largest city park, and several shopping centres in Saldanha Square. There are three metro stations at about the same distance from the hotel (5 minutes): São Sebastião, Parque and Saldanha. Rooms are decorated in a classic style, and some have a private terrace or patio. Jupiter Lisboa Hotel is located on Avenida da República, one of Lisbon’s main avenues, near Campo Pequeno Square, where there is a shopping centre, a bullring and a metro station. Behind an original 1906 façade, Jupiter’s rooms are modern and soundproof. There’s also a rooftop pool and bar offering panoramic views of Lisbon. The BluSpa features an indoor pool, a sauna and a steam bath. The EVOLUTION is a modern hotel located in Saldanha Square, near a shopping centre and literally seconds away from the metro station. The hotel provides clients with automatic check-in, which can be useful for late arrivals. Belém is a riverside district, home to Lisbon’s finest monuments and museums, such as the peculiar Belém Tower or the impressive Jerónimos Monastery. To reach the Baixa and other parts of the city, take tram 15. This area offers recent hotels mainly in the luxury range. Palácio do Governador is a five-star hotel, located on the former Belém Tower Governor’s house. Each room is different. An outdoor pool as well as indoor one are open all year. A great breakfast is included in the price. 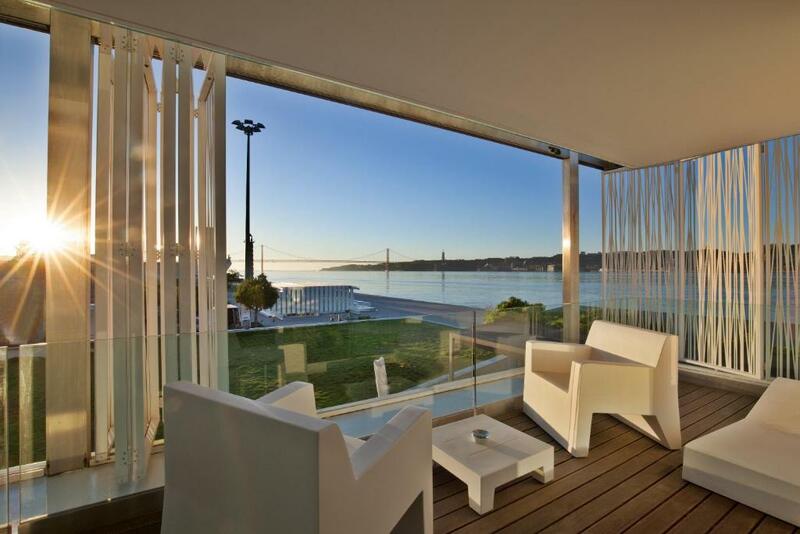 With a unique waterfront location, all rooms at Altis Belém Hotel & Spa offer panoramic views of the River Tejo. The hotel’s spa includes a dynamic indoor pool, sauna, a Turkish bath and a variety of treatments. The hotel’s restaurant, Feitoria do Altis Belém, is one of Lisbon’s Michelin-starred restaurants. The 21st century Parque das Nações, built for the Expo98 event, represents the modern Lisbon. This is a great neighbourhood for those seeking quiet surroundings and outdoor activities. There’s a five-kilometre long waterfront promenade, and the impressive Oceanarium to visit. Gare do Oriente (Oriente Station) makes the area one of the best served by public transport in Lisbon. 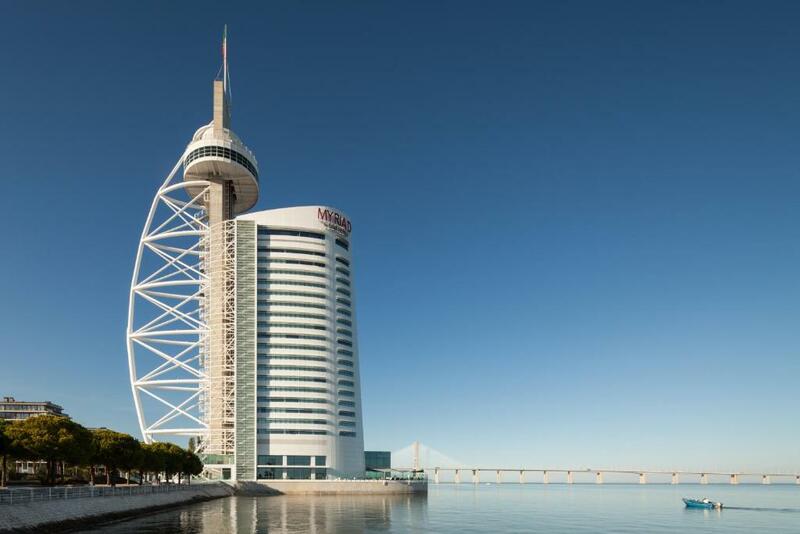 With a perfect location on the bank of the River Tejo, MYRIAD is a five-star futuristic hotel. Rooms offer stunning views from one river’s end to the other. From MYRIAD, your eyes can reach the entire Vasco da Gama Bridge’s length, Europe’s longest bridge to drive across. The hotel has a restaurant and a bar, as well as an indoor pool with spa and fitness facilities. The TRYP Lisboa Oriente Hotel features bright rooms overlooking Parque das Nações’ futuristic buildings, and some (on the upper floors) overlooking the River Tejo. Lisbon’s Oceanarium and Casino are within walking distance.